Are you feeling ferocious enough to pull off this costume kit? 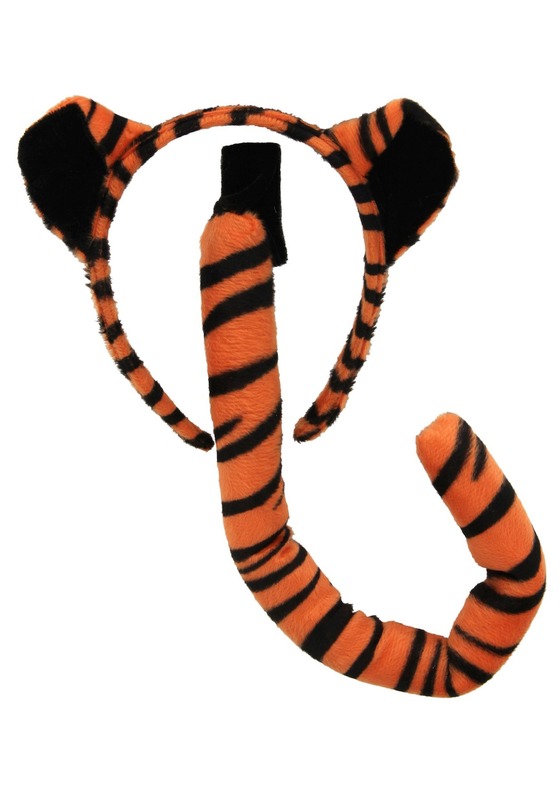 You can become the biggest of all cats with this tiger ears & tail set. Let’s face it, sometimes you need a scaled back costume for wherever you are on Halloween…like the office. You want to dress up, but don’t want to sit in a complete costume all day that could potentially lead to feeling uncomfortable. Now you can get into the Halloween spirit while earning a nod from wildlife conservationists and coworkers alike with one simple set. You can quickly convert to a tiger in no time at all. The sheer ease of looking and feeling put together is a no-brainer. We’re sure you already know how simple it is to use a headband, and the tail can be fastened to a belt loop by its own Velcro loop, or to any garment by a safety pin (not included). And voila, you basically have an instant costume. Tigers are beloved by the entire so naturally, everyone is going to love your fierce costume. Wear the kit and pair it with an orange shirt and matching pair of pants for a complete look or wear it with whatever you feel the most comfortable in. We have faith that you'll have the most ferocious (and convenient) costume in your office. Now, go get ‘em tiger!